A map of St. Louis' racial and ethnic divisions using data from the 2010 Census. Each dot represents 25 people. A red dot is a white resident, blue is black, green is Asian, orange is Hispanic and yellow is other. 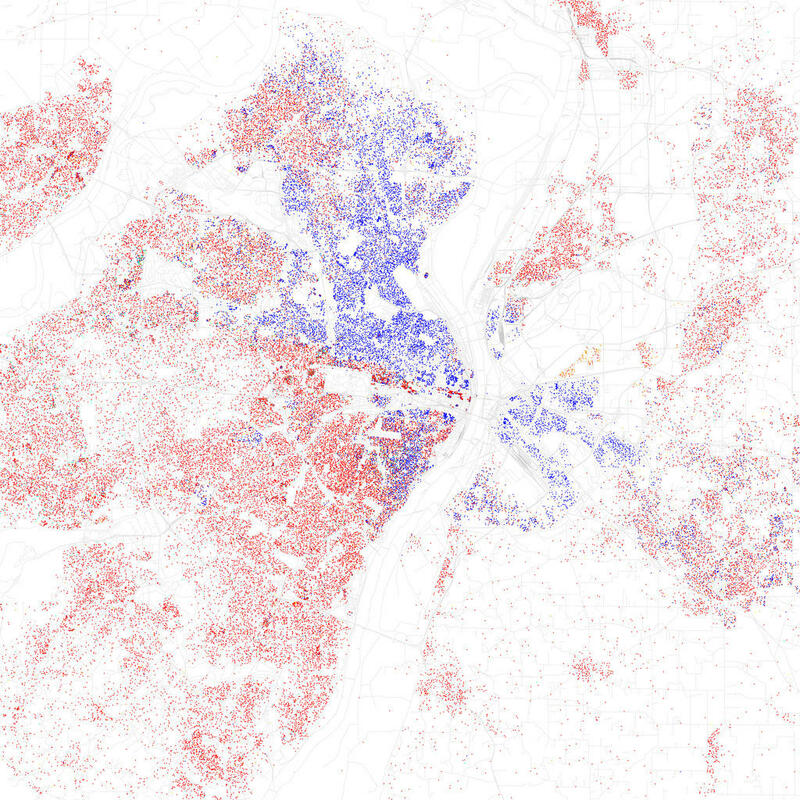 Like St. Louis, Milwaukee is one of the most segregated cities in the United States. Jennifer Morales is the author of a new book of that explores relationships between diverse groups. Morales will be discussing her book, “Meet Me Halfway: Milwaukee Stories,” Tuesday night at Left Bank Books. The book centers on an African American teen that suffers an accident in the home of a white neighbor and later dies. The situation prompts the community to consider divisions. Although Morales completed writing her book before last year’s events in Ferguson, she said she sees it as a racial situation. “There is this day-to-day pattern of hostility I’ve observed,” as she recalled one of the stories in her book that details how two African American students were hassled by a police officer for being out of school. In promotion of her book, Morales is visiting 10 of the most segregated cities in the United States. The cities are Milwaukee, Chicago, Detroit, Cleveland, Philadelphia, New York, Boston, Miami and Los Angeles. "St. Louis on the Air": Jennifer Morales is the author of a new book, "Meet Me Halfway: Milwaukee Stories."